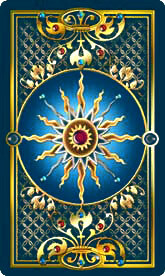 The daily tarot card gives you valuable advice on how to aproach your day. Use this information creatively and try to get the best out of it. The symbols you see on the cards can help you make the right decision and guide you through tough times. The text interpretation serves to clarify these symbols and help you understand their meaning.